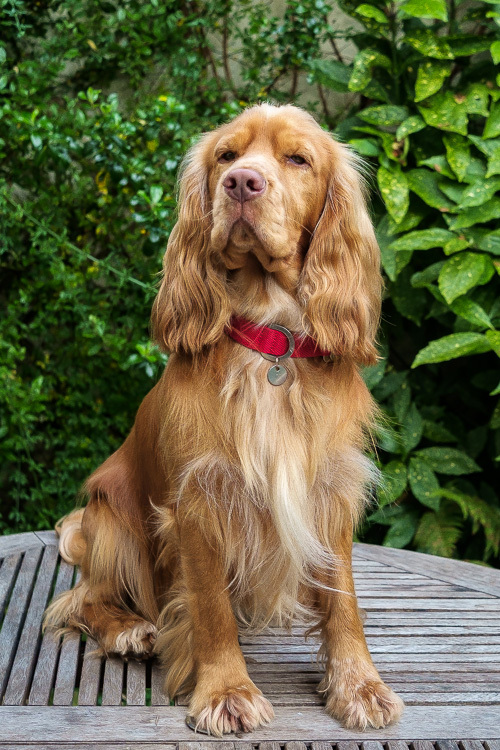 Barney’s old collar and lead were looking more than a little bedraggled (you notice these things when a trip to a smart hotel is on the cards) so when the lovely people at Hindquarters sent us a super-smart scarlet dog collar and lead to try, they couldn’t have come at a better time. First, the quality. 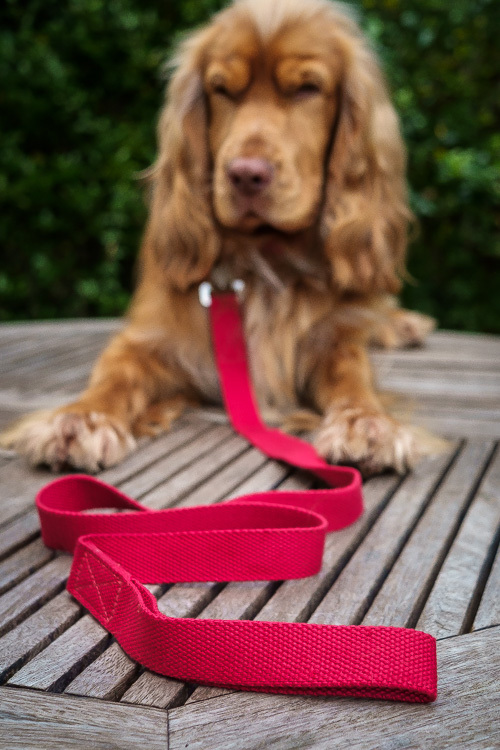 Made from thick 100% cotton webbing, the material is strong but has enough ‘give’ in it make it comfortable to hold on to if you’ve got a dog that sometimes can’t resist following his nose when he should be walking to heel. 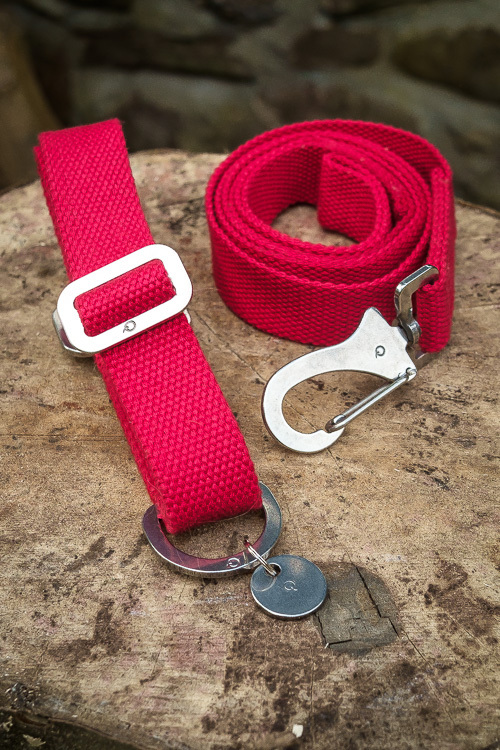 The lightweight stainless steel clips on both lead and collar are made in Wales by a company that manufacture fittings for yachts and small boats. This means that they’re absolutely perfect for dogs who like to take dips in water as the metal is ‘sea-proof’ and less susceptible to corrosion, so stays looking smart no matter how much saltwater they take a bathe in. The collar is fastened together with a very simple to use slot-and-lock mechanism. No fiddly buckles to contend with. And the lead attaches to collar nice and easily too. 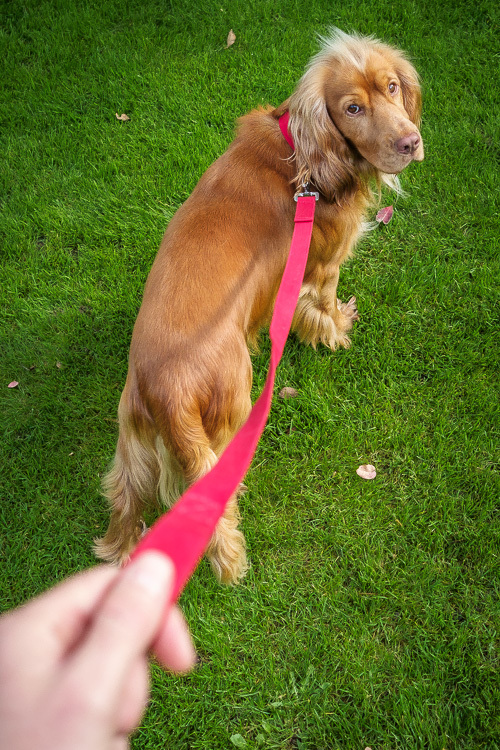 The collars and leads come in a nice selection of colours including green and tangerine. 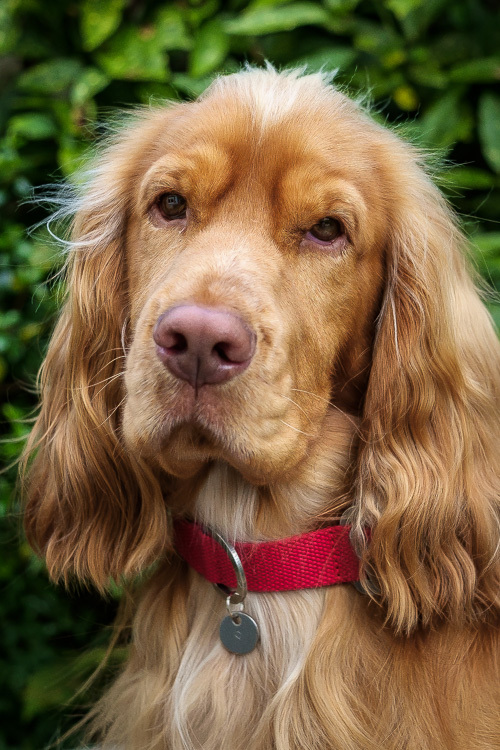 They’re a smart addition to any style-conscious spaniel – and so far they’ve stood up to plenty of rigorous testing through canal water, seawater and plenty of mud. The good news? they’re washable at 40 degrees. We think Barney looks quite regal showing off his new regalia!